These nine stories all take place during the Klondike gold rush of 1897. Unusual for a London collection, the tales are all loosely connected by a cast of recurring characters -- the inhabitants of Forty Mile, a town in the Yukon Territory. Jack London recreates the dawn of humanity, depicting the prehistoric world as a place of conflict where the fittest survive. The narrator is faced with the strange truth that his consciousness is entwined with that of his mid-Pleistocene ancestor. London's masterpiece is written in 1903 and based on his adventures in the Canadian wildernes. This is an engrossing tale about the struggle for survival and existence in the frozen land of Alaska. A story about unbreakable spirit of a dog. While onboard a San Francisco ferry which collides with another ship in the fog, Humphrey van Weyden is picked up by Larsen, the captain of the seal-hunting schooner the Ghost. A brutal ship master, Wolf rules over his ship with an iron hand. 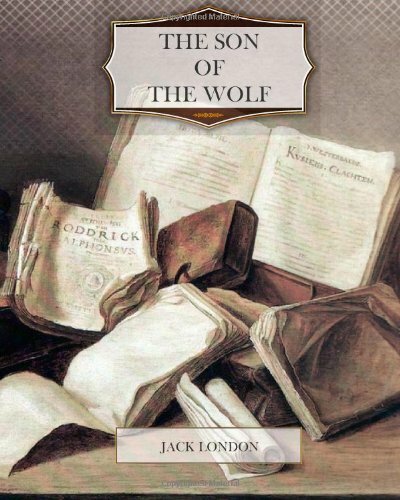 Two men exactly alike in appearance, hunting for a treasure in the South sea islands, start the complication in this scenario novel written by Jack London. Graphic, clear and thrilling in style and with much of the old charm.